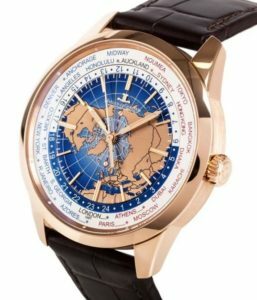 What is a World Time Watch?? Some people travel a lot and need to keep tabs on different time zones at different hours of the day. 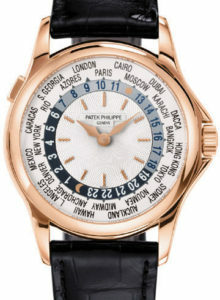 A world time watch accomplishes a similar task to the GMT or dual timezone; it shows the wearer a time zone in an area of the world other than home. 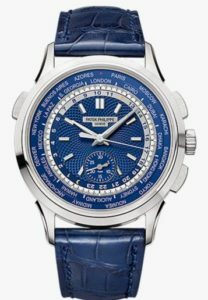 A GMT watch can only monitor one other selected time zone, the world timer shows the time for the main 24 time zones at once. 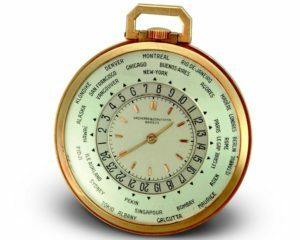 Vacheron Constantin, the oldest Swiss watchmakers, released the first world time pocket watch in the late Thirties. 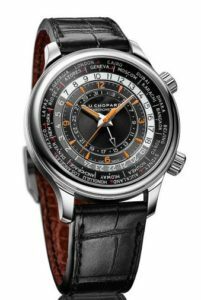 A concept originally created by Louis Cottier, the world timer mechanism shows all global time zones on the face of a watch at once. 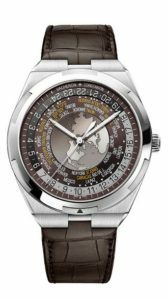 A world timer features an internal bezel displaying 24 world cities, each representing a different time zone. Next to this is a 24-hour ring that does one full revolution a day. The user sets the time-zone bezel to align their home time zone with the correct hour of the day on the 24-hour ring. As time passes, the 24-hour ring rotates. The point where the 24-hour ring lines up with the time zone you’re looking for shows you the hour of the day. The complication was developed by independent watchmaker Louis Cottier in the early 1930s, and was quickly adopted by brands like Patek Philippe, Rolex and Vacheron Constantin. 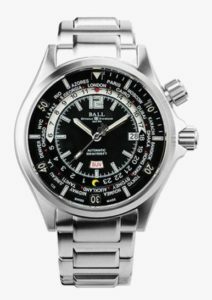 It was and remains a fairly complex movement, and as such commands a higher price tag than the similar GMT (developed a couple decades after the world timer) and is harder to find today. But for the watchmakers that have mastered the world time watch, the results are often stunning. 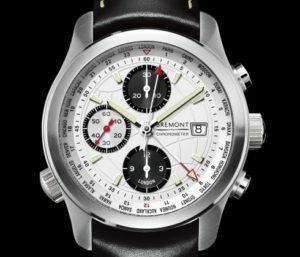 The watch inherently requires a busy dial, but designers and watchmakers manage to organize the business into a beautiful, legible gauge that is particularly useful for jet-setters and adventurers everywhere. Actually, my Rolex GMT II is able to do 3 time zones…not simultaneously, but with a rotation of the 24 hour bezel, then a 3rd time zone is provided. Interesting article. 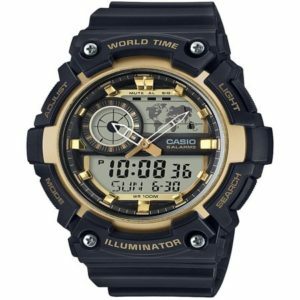 The pictures were very interesting– that Casio quartz finds itself in some very nice company..